VQ Drums (which stands for Vintage Quality Drums) is Wavesfactory’s latest drum kit sample library. It brings the sound of a 1964 Ludwig Hollywood drum kit recorded in a dry wooden studio with 12 mics (8 spot mics plus 2 stereo paired ambient mics). 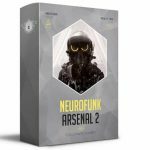 It is delivered through a 3.86Gb download and requires the full version of Kontakt 4.2.4 or above. The installed instrument takes a little more than 4Gb in the hard drive, of which 3.94Gb are samples. There are 6 round-robins and 6 velocity layers for every articulation, which makes 36 samples per articulation. All the samples are delivered in the .ncw format, summing up a total of 9.263 files. 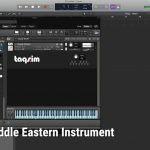 Considering the nature of this instrument, it is an impressive amount of samples, only less impressive than the 1862 groups that operate behind the curtains of this instrument (you can check them out in Kontakt’s Group Editor tab). 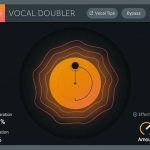 Judging by the information in the manual, there is a good reason for this amount of groups: the guys at Wavesfactory aimed to create an instrument that could sound the most natural possible. To do so, they recorded not only each drum separately, but also the mics bleeding for each piece of drum they sampled. These mic bleeding samples were then added to VQ Drums’ sample pool in dedicated groups, so, when you trigger a kick drum note, for instance, you are actually triggering a bunch of sample groups that, combined, recreate the sound that the kick drum would have had in a real recording. You may be asking: what’s the point of having all this information in separated samples? Wouldn’t it be simpler to have them mixed in one single sample per note? Well, the thing is that by having everything separated, it was possible to add a mic bleeding control knob to the instrument, giving to the user more control over the sound of the drum kit. It’s a very cool feature. I’m going to go through a brief description of the instrument in the next paragraphs, and in the end you’ll find my personal impressions about it. Feel free to jump some lines if you are more interested in my personal evaluation than in knowing the details about how the instrument works. In VQ Drums’ manual, there is a description of the sampled drum kit: it is a 22” kick drum with 3 toms (12”, 13”, and a 16” floor tom), with Constantinople hi-hat and cymbals (2 crash cymbals, 1 china and 1 splash from the 1920s); 2 different ride cymbals, which have a considerably distinct sound: a Constantinople 22”, with a bright and penetrating sound, and a Zildjian K from the 1940s, with a darker, softer and subtler tone; finally, 2 snares: a WFL Buddy Rich from 1954, with a thinner and more high-pitched sound, and a Ludwig Supersensitive 14×6.5 from 1970, fatter, with a lower tuning. Both snares and ride cymbals cannot be used simultaneously. 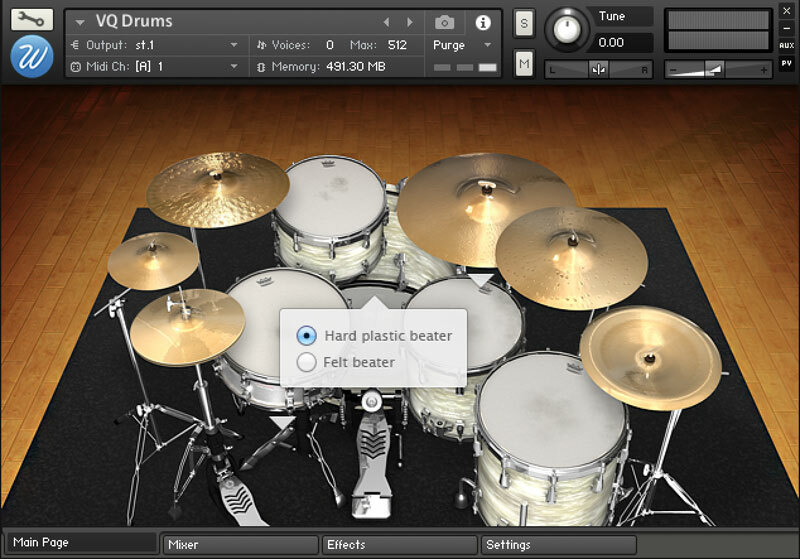 You have to select one or the other in the instrument main window, and it is also possible to select two different beaters for the kick drum: a felt and a hard plastic beater. The felt beater brings a bit more of the vibrations of the snare drum and, curiously, a slightly brighter sound than the plastic beater. The main page is merely illustrative. The only thing you do here is selecting the snares, ride cymbals, and kick drum beaters that you want. In the mixer page you can see VQ Drums’ mixer (naturally!). One of the cool things here is that you can purge individual mics by clicking in the red light on the top of the each channel strip. You can also set up the 10 independent channels’ outputs, which by default are addressed to a Default output that corresponds to Kontakt’s 1-2 main stereo output. 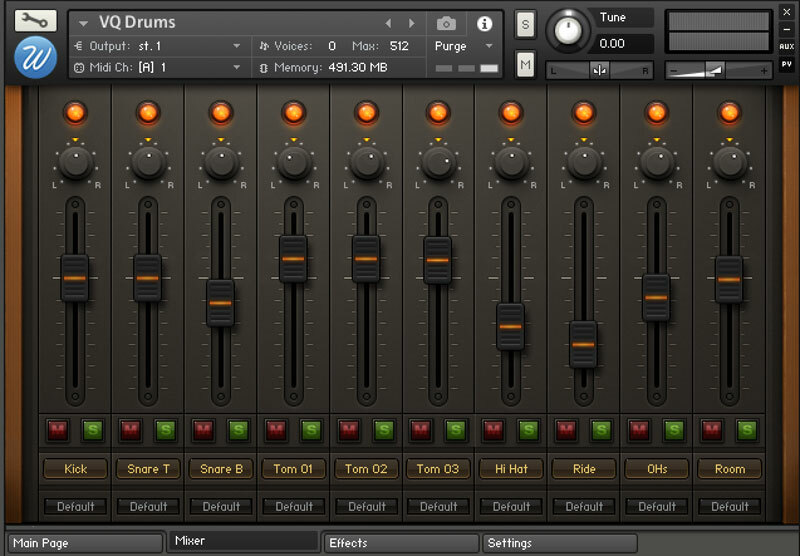 If you want to assign separate outputs for each of the mixer’s channels – and since this is a drum kit you will most certainly want to do this –, you’ll need to setup the outputs in Kontakt prior to opening VQ Drums (considering that you don’t have a multiple output already set up by default). This happens because, in Kontakt, the available outputs within an instrument are always limited or related to the number of outputs available in the Kontakt Player in the moment you open the instrument. If you add or delete channels after opening an instrument, you will see these changes in the instrument’s main display, but not within the instrument (in case you have such a selector inside the instrument). The value for each slider in the mixer is shown in the correspondent channel strip label when you move a slider. As the figure shows, there are three main effect processors available in the Effects page: a compressor, an EQ and a convolution reverb. There are 3 different compressors and more than 30 impulse responses for the reverb. Besides the regular controls of each of these FXs, there is an interesting feature in this page which is worth mentioning: there is a row of 11 buttons in the upper part of the page (one for each of the 10 channel strips in the mixer, plus 1 button for the Master channel) and a switch (Multi-Single) in the upper right corner. When the switch is in the Single position, you can select only one button at a time. The page will then display the current configuration of the FXs in that single mic. When you choose the Multi position, you can select multiple buttons/channels and then, the effects’ configuration will be applied to all the selected channels at once. 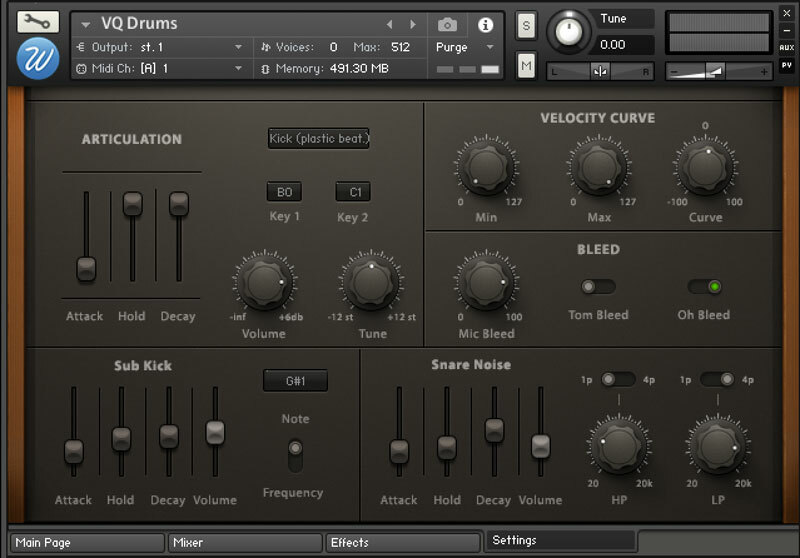 This allows you to either customize the effects for each piece of the drum separately, or create some effect that can be applied to the whole drum, creating a more homogeneous sonority. Another important thing is that the Reverb is only available when the Master channel is selected. In other words, it is only possible to apply the reverb to the whole mix, and not to single mics. This has to do with Kontakt’s architecture, but in any case, this is by far the most common way to use reverbs, so, no big deal. 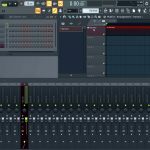 If by any chance you need or want to apply reverb to a single channel or to a group of channels, you can always open separate instances of the instrument to do it. In the Settings page you can control a bunch of interesting features of VQ Drums. In the Articulation section you can select a mic (in Figure 04, for instance, the Kick with plastic beater mic is selected) and alter its attack, hold and decay, as well as its volume, tuning and key mapping. Two things that are worth mentioning about this section: first, the tuning control gives a quite convincing tone, so you can really detune the drums and it won’t sound weird. Second, each of the drums are mapped to two keys, so that you can use both hands to play them as you would do in a real drum kit. In the Velocity Curve section, you can adjust the dynamic response of the instrument by setting the minimum and maximum velocity values and the curve response. The more negative the curve value is, the more it will emphasize lower velocity values, resulting in a quieter general sound; the more positive, the more it will emphasize higher velocity values, resulting in a louder general sound. In the Bleed section you can adjust the volume of all the bleeding mics. There is only one knob for controlling the bleeding, plus two switches with which you can turn off toms and overheads bleedings (these are generally less desirable bleedings than the ones coming from the other mics). Finally, the Sub Kick and Snare Noise sections bring an interesting tone enhancement for both the kick and the snare drums. 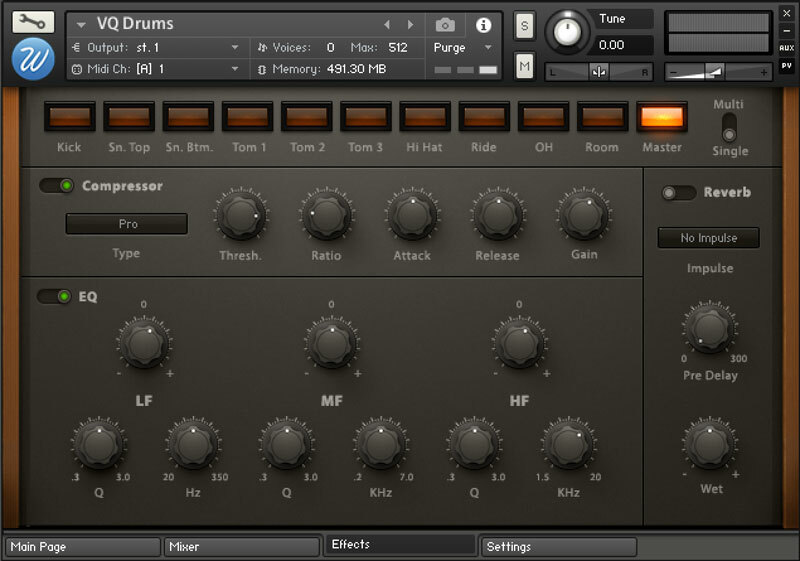 The Sub Kick section adds a low frequency sine wave to the bass drum, so that its low-end gets reinforced. You can adjust the volume and tuning of the sine wave (set by note or frequency), as well as its attack, hold and decay. The Snare Noise section is similar; the difference is that now a white noise is added to the snare, making it sharper and a little more aggressive. There is a high pass and a low pass filter to alter the sound of this white noise. A switch in each filter allows you to select a mode of filtering: 1 pole or 4 poles. I didn’t quite get how exactly they differ from each other, but it seemed to me that the 4 pole is a bit more aggressive than the 1 pole. Besides the actual instrument range (in blue), there are two different key functions in the keyboard. The first one, the single green key, is set to reset the round-robins. This is a cool feature that allows you to reset round-robins at the beginning of each take so that every take sounds exactly the same. Just write this MIDI note in the very beginning of your MIDI track and you’re set. The yellow keys are another interesting feature. They basically serve to stop the cymbal hits (each key – F, G, A and B – stops a particular cymbal: crash 1, crash 2, china and splash), so that you can recreate the effect of stopping the cymbal vibration by holding it with the hand, as drummers do. My first impression when I first experimented with VQ Drums was that it was a good sounding drums library, with a well-balanced and natural sound and some options (2 ride cymbals, 2 snares, 2 kick drum beaters). It took me some presets to realize that my impressions were quite limited and didn’t make justice to what VQ DRUMS can really do. The real trick is in what you can achieve with the FX processors. VQ DRUMS allows you to alter its original sounds quite dramatically, making it possible to create drum kits suitable to hip hop or to EDM tracks, or metal or pop rock tracks. The general response of the instrument is quite natural. It sounded to me as if it was recorded in a small to medium sized studio. This is neither bad nor good; just a characteristic. If you want it to sound big, you can play with the reverb, although I feel it will always conserve a bit of the expressive characteristics of the original recording. 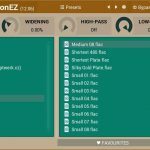 All in all, VQ DRUMS is a good professional sounding drum kit, worth adding to your library if you are considering acquiring one more option to work with. It is also a good option to start with, as VQ DRUMS is simple to use and quite versatile. It fits in many different situations, always sounding very convincing.